Swimmer’s ear is normally an infection towards the exterior of the ear canal. It’s often caused by the entry of water in ear soon after swimming. Eventually, the moist environment leads to the growth of bacteria. In medical terms, Swimmer’s ear is called as Otitis Externa. While you can treat swimmer’s ear in a better way, you need to visit the ENT specialist in case complications arise. 2 How to Prevent Swimmer’s Ear? 3 How Long Does Swimmer’s Ear Lasts? 4 How to Treat Swimmer’s Ear? 5 How to Cure Swimmer’s Ear? 6.0.1 Was this article helpful? You may not able to notice the consequences because swimmer’s ear is quite mild at the first instance. But, after some time, the condition might get worse if the infection spreads. Doctors tell you more about the conditions as per the stages of progression. 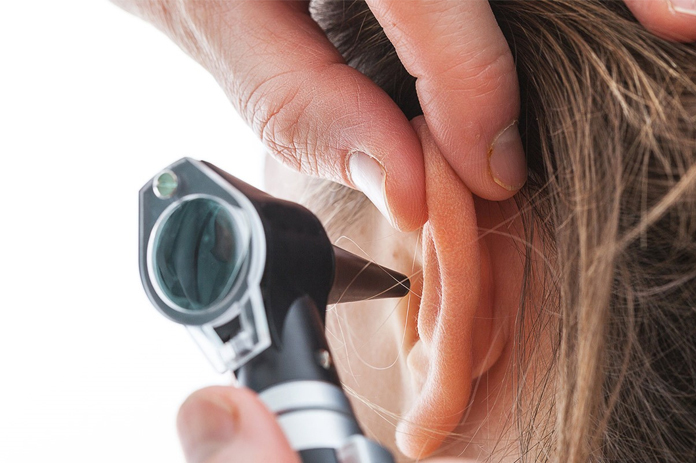 Initially, you might have an irritating or itching sensation in your ear canal. The skin may become red while you experience discomfort. Clear odorless fluid may also ooze or drain out while the outer ear is pulled. At a later stage, the condition may become even more serious owing to severe pain. The ear canal may get blocked completely as swelling aggravates. You may feel slightly feverish due to the swelling of lymph nodes. 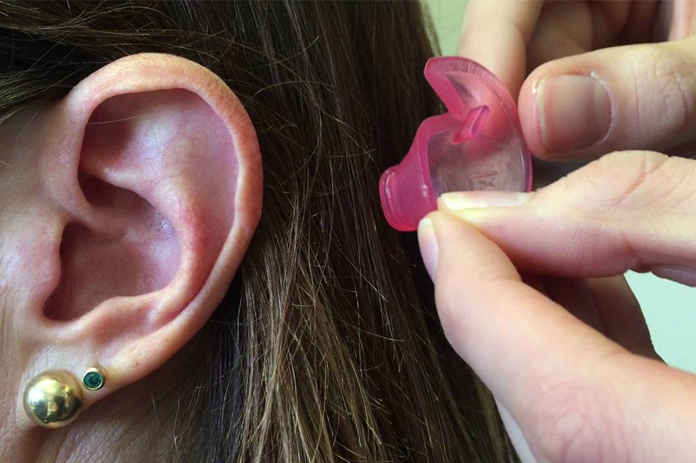 How to Prevent Swimmer’s Ear? In order to mitigate the risk of swimmer’s ear, you should put in earplugs so that the problem may not arise. You may come across earplugs suitable for swimming. But, if you want to cover your ears completely, then you should prefer wearing a bathing cap. Never think about swimming in lakes, rivers or ponds which contain strains of bacteria. Do check for the level of bacteria and whether it’s actually safe to dive in water. Soon after you swim, you must never forget to drain water from your ears. Initially, you need to tilt your head and rely on gravity. Pulling one of the earlobes can also serve to be effective. For drying out the leftover water, you need to purchase eardrops available at the market. Rather than spending money, you can make eyedrops at home. Simply, mix half a teaspoon of alcohol and some white vinegar and pour it in your ear. Avoid pouring eardrops if you have undergone an ear surgery or experiencing ear pain. You also need to take care about a perforated eardrum. Protecting your ears after swimming is essential because the scratches can always tear the skin and allow germs to enter the area. Always remember to keep your hearing aids clean. This would certainly help to lower down the risk. Moreover, you should keep the hearing aids near your bed every night before falling asleep. How Long Does Swimmer’s Ear Lasts? If the ear infection is treated properly with prescribed ear drops, then you can get rid of the problem within 7 to 10 days. The pain would subside within a few days of treatment. Since the external otitis is not contagious, then you should bring it in contact with your friends. When you can’t control the condition with eardrops, then you should always opt for another treatment. This is because the infection may spread and become even more serious. If you see your ear canal being swollen, then it can always prevent the eardrops for passing right to the ear. If this happens, then the doctor would insert a wick into your ear. A small piece of cotton would actually direct the drops right inside the ear canal. You might have to visit the doctor for a replacement for a few times. If the infection becomes severe, then you need to take strong antibiotics. You may be a bit more serious with malignant otitis. Such a condition is commonly observed with aged people with diabetes and AIDS that impacts the immune system. Once the treatment commences, you would feel much better. If the symptoms last for more than 10 days, then get in touch with the doctor immediately. When you are back to normal, don’t forget to wear your eardrops and dry ears after swimming. How to Cure Swimmer’s Ear? Now, let’s look at the ways of reducing the infection and allowing the ear canal to heal. The acid in Vinegar helps in killing the bacteria, and clearing away the infection. This makes it one of the best cures for a swimmer’s ear. Initially, you need to mix equal quantity of vinegar and rubbing alcohol. Later, you must lie down on your side with the infected ear facing upwards. You then have to pour two to three of the mixture in your ear, keep it for five minutes and then tilt your head. Always start off with soaking a washcloth and squeezing excess water. As soon as you place the hot compress to the ear, you should tilt your head after 2 minutes. Now, take a ten minutes break and repeat the steps again. If you are seeking to get rid of swimmer’s ear fast, then you can try hydrogen peroxide. Since the agent is a natural bacteria killer, the fluid in the ear would dry out in no time. First, you need to source 3 percent hydrogen peroxide, lie down and pour three to four drops. Later, you need to stay still in the position, sit up and tilt your head for draining out the fluid. For better results, you should try this remedy many times during the day. Garlic is another great way to cure ear infections. So, for using Garlic, you need to crush a few cloves and mix them with two tablespoons of olive oil. Later, start heating the oil till crushed coves start turning brown. Later, as usual you should use two to three drops and tilt head sideways. Don’t forget to repeat the steps at least once in a day. There are numerous types of ear infection with swimmer’s ear being one of them. When you think about swimmer’s ear, then it’s nothing but the inflammation and pain due to water trapped inside the ear canal. While Staphylococcus Aureus and Pseudomonas Aeruginosa is the root cause of the swimmer’s ear infection, fungus may cause swimmer’s ear in a few number of cases. Hope you have learnt about swimmer’s ear. If you are unable to hear due to the infection, then you should call the doctor right away.